For the Christian, we can add one more item: persecution. In recent days, we have read and heard much about persecuted Christians around the world. In the Middle East, we hear about attacks by ISIS and Christians driven from their homes because of their faith. Even young children experience beatings, beheading and crucifixion because they refuse to give up their faith in Jesus. This is not new in the history of Christ’s church. Persecution is inevitable for all who truly follow Christ and reflect His life and character. As Jesus faced His own crucifixion and death, He told His disciples, “If they persecuted me, they will also persecute you” (John 15:21). A truly godly person may even find himself rejected by religious people who call themselves “Christian.” They may be moral and upstanding citizens who have compromised with the standards of the world in some way. These are people who rely upon their own goodness to gain entry into heaven. Such people do not understand those who trust only the grace of God to save them. When Jesus walked this earth, the religious people of the day were the Pharisees. John tells us that “even among the rulers, many believed in Him, but because of the Pharisees, they did not confess Him, lest they should be put out of the synagogue; for they loved the praise of men more than the praise of God” (John 12:42-44). Persecution for Christians means to have a share in Jesus’ suffering and resurrection. Jesus suffered, died and rose again, bringing life to all who trust in Him. Our suffering echoes His. Christian suffering is not in vain. 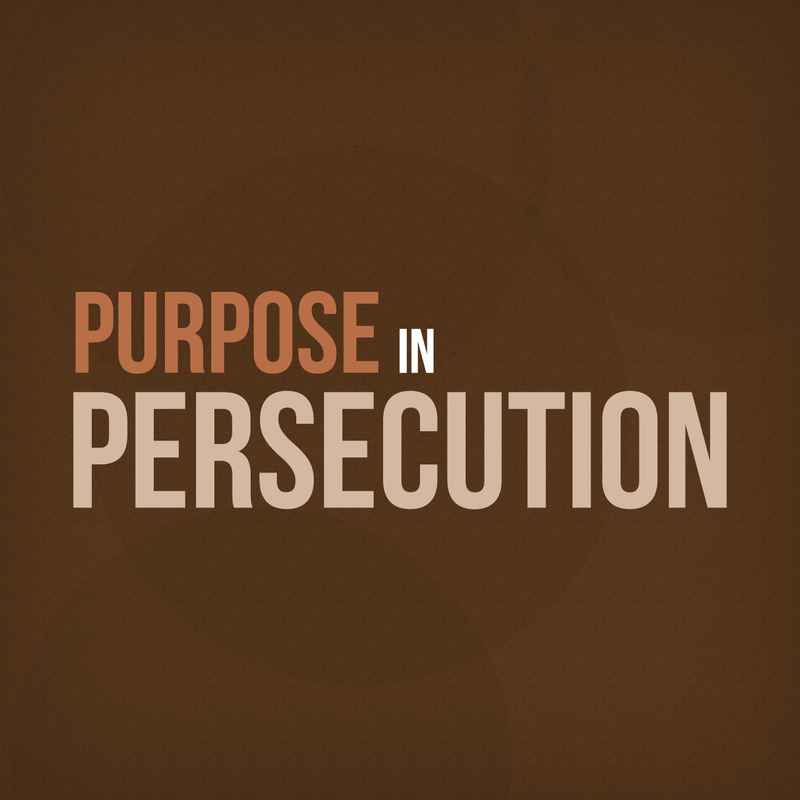 God uses persecution to bear much fruit for His kingdom. The gates of hell come against the believer, but in the end, cannot prevail. Persecution often results in divided families. Some will follow Christ, others will not. Those who do not follow Christ will hate those who do. Families will disown, betray and even kill members who trust in Jesus. Persecution does not mean shame and humiliation. Jesus tells us that those who experience persecution will receive words and wisdom from the Holy Spirit which will baffle their enemies (Luke 21:15). How should the Christian respond to persecution? Jesus tells us we must love our persecutors, bless those who curse us, do good to those who hate us and pray for those who treat us with spite (Matthew 5:44). This makes us like God who shows His love to all, even those who hate Him. To follow the path of love and forgiveness has brought many others to Christ. A good example of this is Elizabeth Elliot whose husband, Jim, died at the hands of savage Auca Indians to whom he tried to present the gospel. Instead of going home in defeat, Elizabeth Elliot and her young daughter went to the savages themselves, and today, most of these people have committed their lives to Jesus Christ. We must choose now to suffer momentary affliction for the sake of eternal reward, trusting God who judges all people justly (1 Peter 2:24). We must keep in mind that God has later turned persecutors into messengers of the gospel. Paul, the greatest missionary of all, is witness to what God will do. Not even persecution can stop the gospel from reaching all the peoples of the world, but God will use it to accomplish His holy purposes.